Alto Adige is literally a world unto itself. 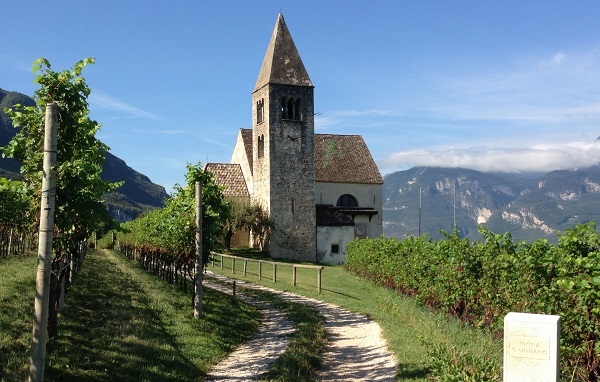 Home to a number of indigenous white and red varieties seldom seen elsewhere in Italy, Alto Adige is one of the most unique and compelling regions in the world. Also known as Südtirol (South Tyrol), Alto Adige remains very much rooted in its Austrian origins, something that is evident in the architecture, cuisine and local dialects. Alto Adige benefits from a number of tax incentives, which makes it one of the wealthiest regions in Europe. Visitors will see some of the most impeccably clean cities in all of Italy. 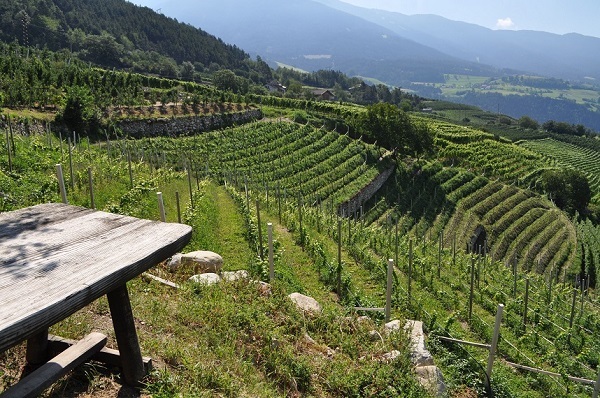 Alto Adige’s steep hillside vineyards are breathtaking. The wines are every bit as compelling. One of the distinguishing characteristics here is that the average vineyard holding per family is the smallest in Italy. This phenomenon has given rise to numerous cooperatives, the best of which offer superb quality and value. Perhaps the most famous is Terlano. Readers who want to learn more about Terlano might enjoy this video interview with Sales/Marketing Director, Klaus Gasser. Sadly, many of the top small estates sell all or most of their production to visitors from nearby Austria and the surrounding countries, which makes the wines hard to find. The best examples, though, are very much worth the effort of seeking out. 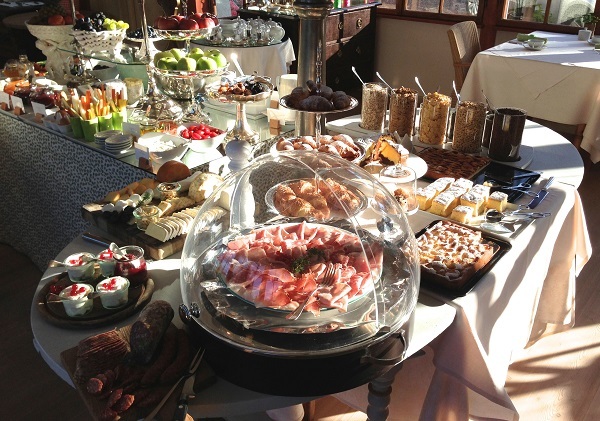 A typical breakfast in Alto Adige, where the food is as serious as the wines. The 2012 whites represent a return to a more classic style after the somewhat heavy 2011s. I tasted a number of perfumed, mineral-driven and highly expressive wines that capture the essence of variety and site, which is in my view the maximum one can ask for. Simply put, 2012 is a reference point vintage for Alto Adige whites. I imagine readers are familiar with most of the main white varieties grown in Alto Adige, as they are also found in many other parts of the world. Gewürztraminer, which was born in Tramin, near Lake Caldaro, deserves special mention, as it can be fabulous in both dry and sweet versions. In recent years, Kerner has grown in popularity. A cross between Schiava and Riesling, Kerner yields intensely aromatic, supple and racy wines. Personally, I am also a big fan of Sauvignon and Pinot Bianco in Alto Adige. While the trend of warmer growing seasons is worrying in some parts of the world, Alto Adige reds are among the wines that thrive under these conditions. That sets up an interesting paradox for the region. I found little to get excited about with the 2011 whites last year, but when it comes to the reds it is a different story. An early maturing harvest with considerably warm temperatures gave the reds a measure of juiciness and depth they struggle to achieve in cooler vintages. In 2011, Alto Adige reds shine. Readers might enjoy this short video in which I discuss some of the many highlights among this year’s current releases. Alto Adige excels with Lagrein, an indigenous red variety that is in many ways similar to Syrah. Lagrein typically presents intense dark fruit and savory/peppery overtones. The best versions are supported by attractive veins of graphite, iron and minerals, but Lagrein can also be made in more forward, fruit-driven styles meant for early drinking. Schiava yields fragrant, savory, light to medium-bodied reds perfect for the summer and lighter fare. At times, Schiava can be a bit herbal, so it pays to choose carefully. In the hands of a mindful grower, Schiava can be absolutely delicious, although it remains an early drinker. For ease of reference I have added a handful of of reviews from Trentino, which borders Alto Adige to the south. Although the two are often grouped together as Trentino-Alto Adige, Trentino is technically a separate and distinct region.